Even if you haven't been unlucky enough to have a precious apartment view obliterated by the construction of a massive building, it's easy to commiserate. The architects behind a new building in Austria have found a way to make sure that doesn’t happen. Vienna enforces strict planning regulations—including height/volume restrictions—particularly in an area called Gasometers, which is located between the airport and the city center. To reinvigorate that part of the city, planners sought designs for a modern building that could hold residences, retail space and offices while keeping with the strict regulations. Dutch design firm MVRDV proposed blueprints that bend the height restrictions with the compromise of a reduced impact to the neighborhood. Instead of building a massive tower that would block the light of the shorter buildings, their proposition is slender and twisted in a way that will reduce the amount of shadow to a minuscule 2 hours a day. So kind! The whole thing also acts like a giant sundial as the shadows delineate the passing of time. So brilliant! The design features glass and steel and will have floor-to-ceiling windows that are operable to allow for natural ventilation. The twisting building will also help divert strong wind gusts in the area. 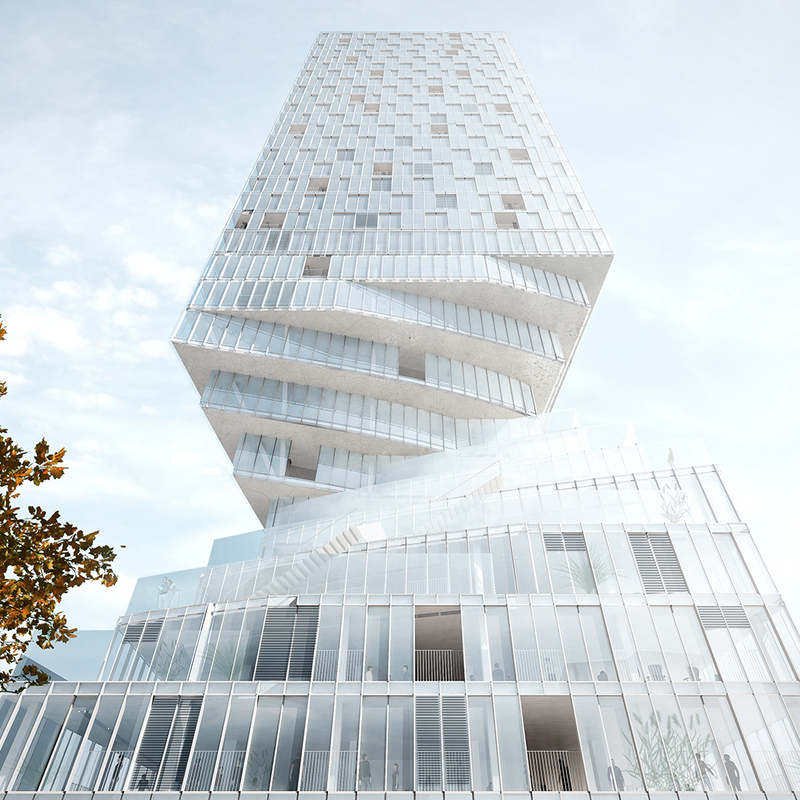 Vienna accepted the proposal, and the company will begin construction in 2016.